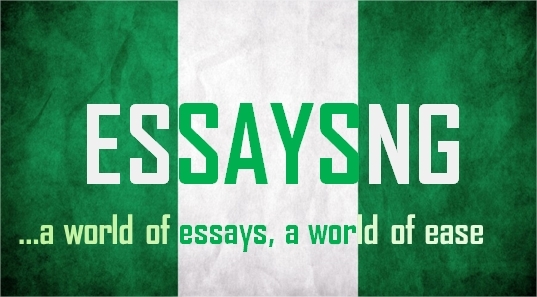 This is to acquaint you with the much recent online-emergence of Essays NG (accessible via http://www.essaysng.com). Our vision is to serve as a leading cyber-library for providing academic essays, cutting across all collegiate departments, to students, scholars and researchers generally, in order to ease the task of online researching. We, therefore, crave your indulgence to contribute to and promote our humble course by VISITING our pages, SHARING us with others and SUBMITTING ARTICLES to be published on our online archive; which can be done through E-mail (admin@essaysng.com), Facebook (www.facebook.com/essaysngr), Whatsapp (2348177006861) and BBM (7AE4A898). Submitting articles will not only help to preserve your intellectual property and immune them from ever-restive computer viruses, it will increase your online presence; and most importantly, you will be helping sundry others in their academic endeavours.